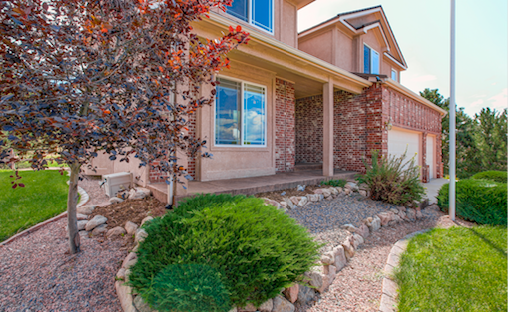 Must see custom ranch with spectacular city & Cheyenne Mountain views! Masterful Design and modern luxury are uniquely embodied in this sophisticated custom home on a 3.23 acre treed lot in the highly desirable community of Cathedral Pines. 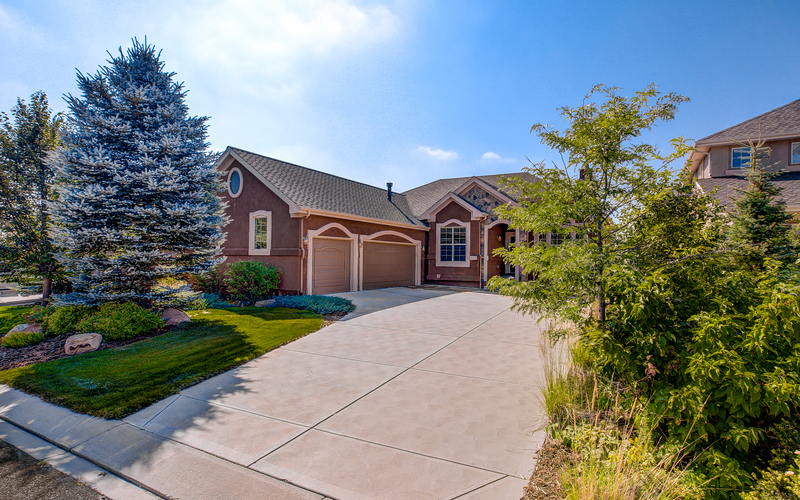 Majestic Pikes Peak views make this spacious 5 bed, 8 bath oasis the perfect place to call home. Every detail was carefully selected and quality crafted. Generous living spaces and stylish finishes guarantee the perfect setting for relaxing or entertaining. Perfect location for an active lifestyle with parks, opens spaces & trails right out your door! 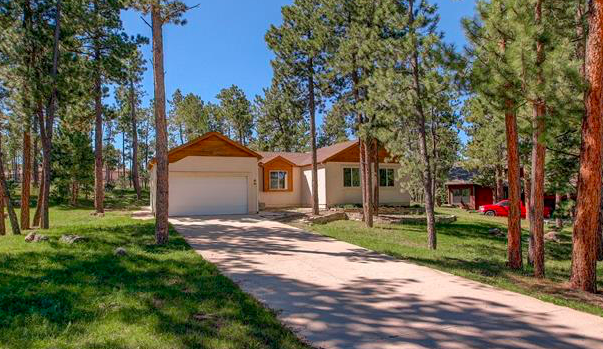 Beautifully maintained imaccullate 4 bedroom/3 bath ranch home located in the highly desirable Flying Horse Community made even better with majestic mountain views! This home must be seen to be fully appreciated! Upon entry the exquisite hickory floors with decorative inlay coupled with 10 foot ceilings beckon you into bright and spacious surroundings. Your large dining room and living room are separated by a pass through fireplace with beautifully constructed floor to ceiling stone surround. You will surely cherish every moment spent here! Welcome home! 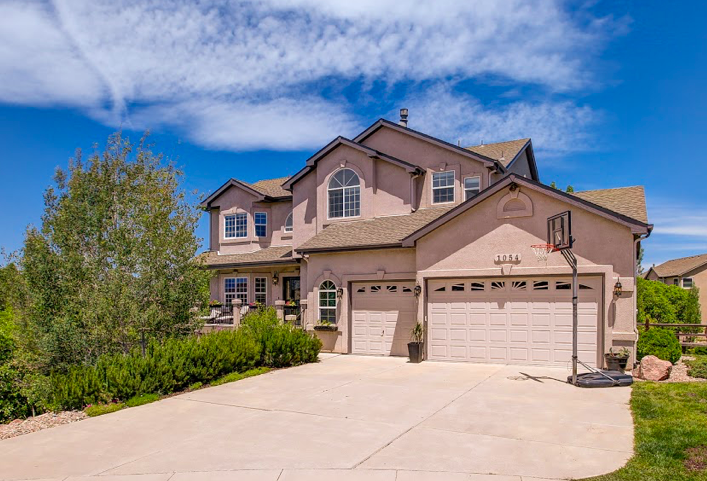 This one-of-a-kind, well-maintained home features phenomenal views of Pikes Peak and the entire front range as well as the Air Force Academy! This 4 bedroom/3 bath/3 car garage home sits peacefully on large, private lot located on quaint cultural-de-sac street in highly desirable community of Gleneagle! Beautiful wood floors welcome you into the open and inviting floor plan! The eat-in kitchen features wood flooring, 42 inch cabinets, beautiful granite countertops and an office nook! 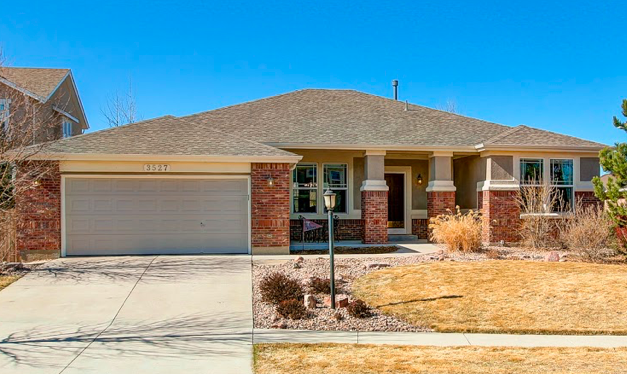 Exquisitely maintained bright & spacious ranch-style floor plan located in the highly desirable, premier neighborhood of Pine Creek. Beautiful dark wood floors throughout entry, kitchen & great room. Expansive extended kitchen features Corian counters, decorative backsplash, double ovens, new appliances, 42 inch extended cabinetry, pantry, breakfast bar & bay window at breakfast nook with walk-out to covered patio. Kitchen flows beautifully into large great room w/ cozy fireplace as the focal point! This is the home you have been waiting for! Located in the perfect location; close to shopping, grocery, gym, recreation, parks, schools, interstate access & has views! 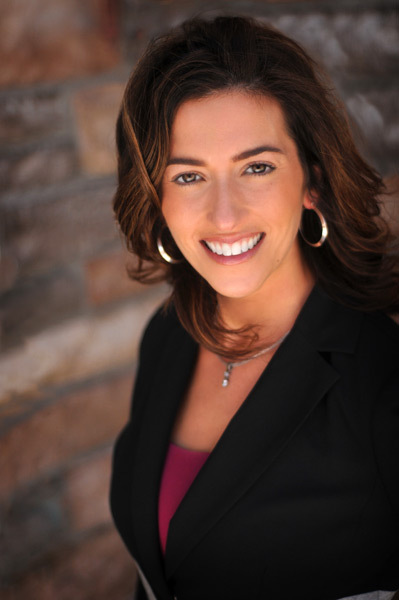 Thought of building, but are overwhelmed w/ making the perfect selections & the amount of extras such as landscaping & upgrades? Then look no further. This home is a Restoration Hardware dream home w/ upgrades galore. Dark hardwood floors throughout the main level & warm neutral tones invite you in. This is the home you've been waiting for! 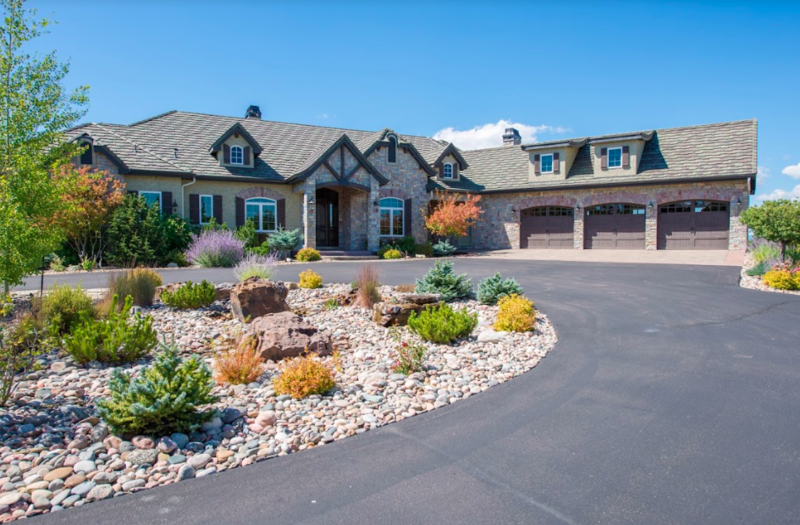 W/stunning views of Pikes Peak & the surrounding mountains, this 5 bedroom/4 bath beautifully detailed home has almost 4500 sf of high-end finishes. 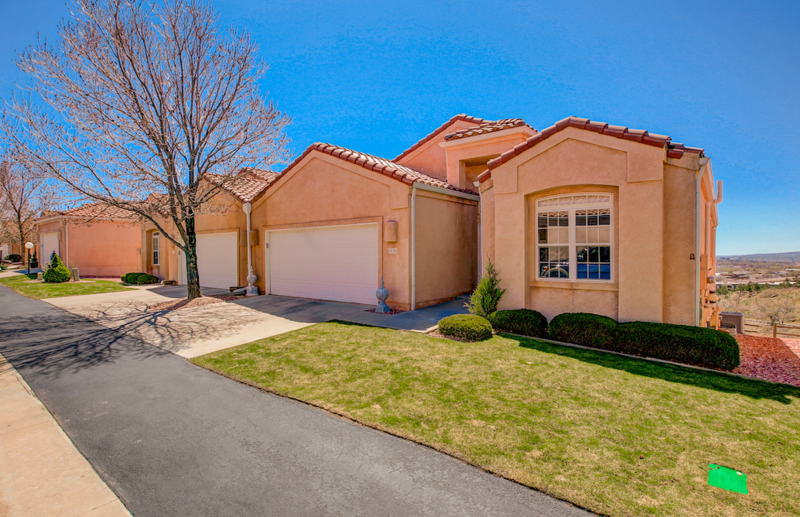 This exquisite home is situated on a large lot, it occupies an idyllic, peaceful cul-de-sac! Upon entering this open-flow floor plan, you are greeted by warm hardwood and ceramic tile flooring. Well-maintained 4-level home in Rustic Hills! 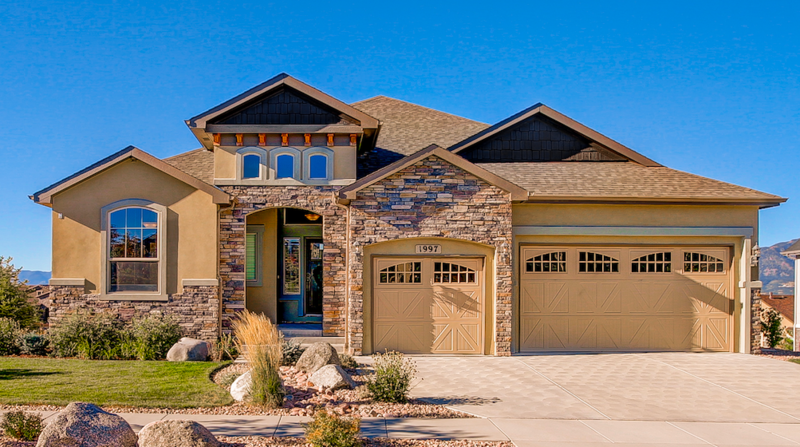 This lovingly-cared for home includes 3 bedrooms, 2 1/2 baths and an open, inviting floor plan! Beamed, vaulted ceilings as well as a large bay window welcome you into the living/dining room. Large windows allow the sunlight to pour in throughout this home! Unique arched entry ways beckon you from room to room. The kitchen includes beautiful maple wood cabinets, stainless steel appliances, granite countertops and a breakfast bar. Living among the trees can become your reality with this charming 3 bedroom/2 bathroom home. Fresh paint and brand new carpet throughout, as well as exquisite new flooring in the kitchen and entry make this home the perfect find! Master located on the main with an attached 5 piece bath and walk-in closet. Two additional spacious bedrooms also located on main level with the 2nd full bath. Large family room with gas fireplace flows into the roomy eat-in kitchen with plenty of storage as well as a functional island. This 4 bed/3 bathroom, 3712 sq ft townhome is an absolute MUST SEE! City & mountain views are breathtaking & this particular home has an excellent back yard green space not found in most units. 3 outdoor covered living areas located off of the upper & lower levels lend themselves perfectly to entertaining or enjoying a glass of wine while taking in the spectacular views! 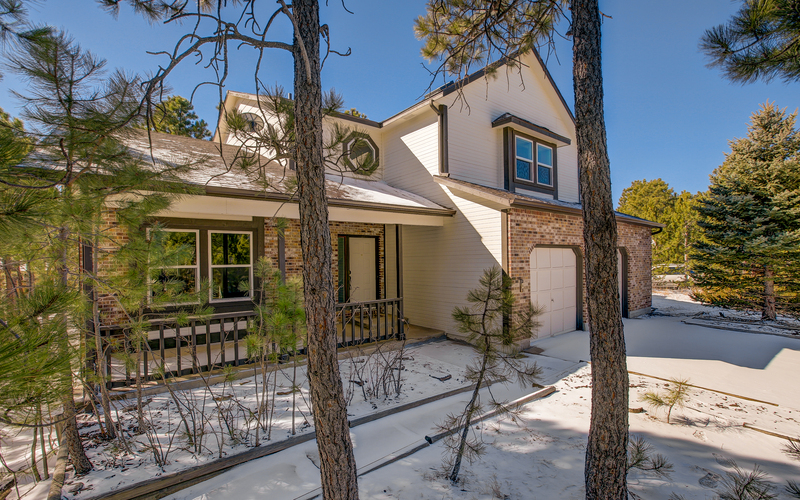 Come home to peaceful living nestled within the pines on this private 1/2 acre wooded lot. 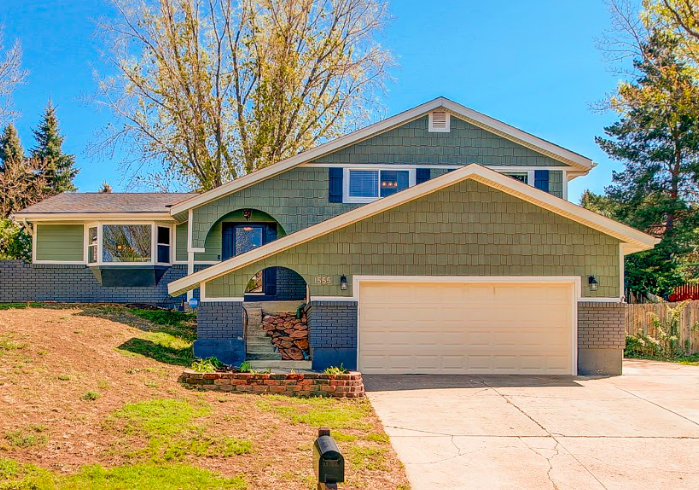 This updated home in Pleasant View Estates has undergone a significant face lift including a remodeled kitchen w/ stainless steel appliances, granite countertops and a beautiful, one-of-a kind backsplash. 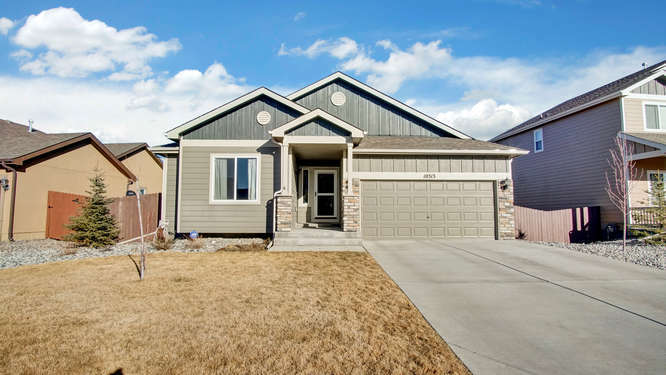 This home also features new windows, new carpet, new plumbing fixtures, new furnace, a new roof as well as a fresh coat of paint inside and out. Wood floors throughout the main level offer a warm and cozy feel! Welcome home to this highly desirable 5 bed/3 bath ranch floor plan with master suite on the main level. Vaulted ceilings give this home an open and spacious feel perfect for entertaining. Beautiful dark wood floors throughout the kitchen, dining and living room areas. Timeless granite in kitchen and bathrooms. Sleek & stylish kitchen also features a gorgeous one-of-a-kind tile backsplash, stainless steel appliances and pantry. Walk out of the Living room to your composite deck and large fenced in yard perfect for a BBQ.